New | Soft Bound | 576 pp | Size 7.8 x 5.1 x 1.3"
Is it a cosmetic? A drug? A nutrient? It's becoming more and more difficult to tell the difference with the cosmetic companies combining the three. And unlike with food additives, the FDA has little control over what goes into the products. 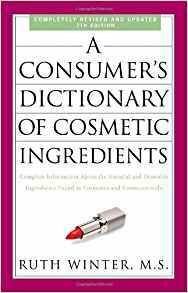 So before you slather on that "wrinkle-reducing" cream or swallow a "skin-rejuvenating" vitamin, find out what's in your health and beauty products with this book.